Critics say it would be impossible to pre-emptively license material in case users upload it. 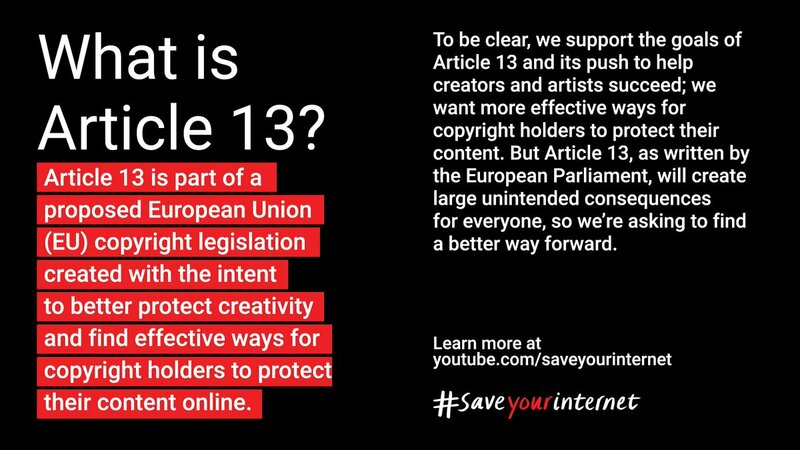 Article 13 does not force companies to filter what users are uploading, although critics say companies will be left with no choice. YouTube already has its Content ID system, which can detect copyright-protected music and videos and block them. But critics say developing and implementing this type of filter would be too expensive for small companies or start-ups.